Writing the West occurred in many forms, the same ledgers used to record the transactions of commercial establishments also served as canvases on which Native Americans depicted the stories of their lives and adventures. Artists, explorers, soldiers and pioneers all attempted to capture some essence of the American West, either in images, as did the ledger artists, or through their written descriptions of the land and the recounting of their experiences as they made their way through it. Today, examples of these efforts are preserved in the collections of the McCracken Research Library where they are sources of inspiration and information for students, scholars, artists, authors, and all those who are fascinated by the landscapes and history of this vast and varied region. Long before the Lewis and Clark Expedition of 1803–1806, Europeans had penetrated the interior of the North American continent. Expeditions of discovery and conquest led by the Spanish occupiers of Mexico to the south and by the French from the north and southeast expanded knowledge of the topography and inhabitants of the unknown lands. The journals and published reports of these journeys contributed much to the growing body of knowledge developed from what the explorers saw in these seemingly remote and mysterious lands. We visited a good many of these pueblos. They are all well built with straight, well-squared walls. Their towns have no defined streets. Their houses are three, five, six and even seven stories high, with many windows and terraces. The men spin and weave and the women cook, build houses and keep them in good repair. They dress in garments of cotton cloth, and the women wear beautiful shawls of many colors. They are quiet, peaceful people of good appearance and excellent physique, alert and intelligent. They are not known to drink, a good omen indeed. We saw no maimed or deformed people among them. The men and women alike are excellent swimmers. They are also expert in the art of painting, and are good fishermen. They live in complete equality, neither exercising authority nor demanding obedience. During the seventeenth and eighteenth centuries, explorers continued to travel throughout the American West and record their impressions of the uncharted interior of the country. French Canadian Pierre Gaultier de Varennes, Sieur de la Vérendrye, was one of these explorers. Though he never achieved his ultimate goal of locating a route to the Pacific Ocean, de la Vérendrye did make a number of trips from Montreal into the Canadian wilderness where he was successful in establishing trade relations with the Cree, Assiniboine and others who inhabited present-day south central Canada. His expedition of 1738–39 traveled west and south to the banks of the Missouri river where he stayed with the Mandan. His reports in journal form provide many details concerning the life styles and political maneuverings of the peoples encountered in his travels. With the Louisiana Purchase in 1803, the American government found itself in possession of a vast tract of land. Between 1804 and 1806, Meriwether Lewis and William Clark, charged with locating a route to the Pacific Ocean, undertook the exploration of this new territory, leading an expedition up the Missouri river and across the continent. The published journals of the expedition of the Corps of Discovery led by Lewis and Clark continue to fascinate readers. Other expeditions soon followed and, in 1805, noted explorer Zebulon Montgomery Pike attempted to locate the headwaters of the Mississippi in northern Minnesota. The following year he set out to explore the “western parts of Louisiana.” These journeys were well documented in his Account of Expeditions to the Sources of the Mississippi and through the Western Parts of Louisiana,…And Tour through the Interior Parts of New Spain…The Plains and Rockies, published in 1810, which contains an excellent map of the region. The Account and its map stirred the expansionist impulses of a growing nation. When Captain Stephen H. Long set out on an expedition to survey the Rocky Mountains in 1819, his entourage included two artists — Titian Ramsay Peale and Samuel Seymour. Seymour’s views of the Rocky Mountains were used to illustrate the report of this expedition which was published in 1822. Future expeditions would also include artists, whose talents with brush, pencil and pen captured the scenes encountered with an immediacy that could not be conveyed in words alone. The Scottish nobleman William Drummond Stewart made several trips to the American West between 1833 and 1843. In 1833 he accompanied fur trader Robert Campbell on an expedition to deliver supplies to the mountain men who gathered every summer on the Green River in what is now Wyoming. Here Stewart saw colorful trappers, winsome Indian maidens and a lively celebration of the mountain man life. The artist Alfred Jacob Miller, who accompanied Stewart on his 1837 trip, faithfully rendered depictions of the scenes encountered both on site and later, at leisure in his studio. These vivid works provide a visual record of this soon to be lost moment in time. On his final trip into the Green River area, Stewart’s traveling companions included several men of science. Among these was Steadman Tilghman, a young doctor from Baltimore. The collections of the Buffalo Bill Center of the West contain a botanical notebook which Tilghman brought back to the east with him when the journey ended. Amateurs and scientists alike were avid collectors of botanical specimens; new plant species thus came to the attention of a public fascinated with all that was being discovered in the western regions. The “Natural Bridge” is perhaps one of the greatest curiosities we saw in the whole of our interesting expedition. It is at the extremity of a valley formed of an immense chasm, with rocky sides — and a perpendicular height of 300 feet —through which flows a beautiful chrystal stream. Other notable expeditions were undertaken by the naturalist/ethnographer Maximilian, Prince of Wied-Neuwied, accompanied by the artist Karl Bodmer. Maximilian’s voluminous work, Reise in das Innere Nord-America in den Jahren 1832 bis 1834, is an ethnographic study of the peoples living along the upper Missouri river. In this work he records the minutiae of the lives of the people whom he studied, striving for a factual representation of all that he observed. His work is complemented by Bodmer’s faithful rendering of his native subjects. Like his more famous mentor and friend Alexander von Humboldt, Maximilian was inexhaustibly curious about the world around him. A trained zoologist, during his lifetime he identified and named a number of species of animals and plants. Some years after his return to Europe, Maximilian published an article titled Über die Selbstständigkeit der Species des Ursus Ferox, a study of a species of bear. A copy of this article is preserved in the McCracken Research Library. Artists George Catlin and John James Audubon also traveled in the west and depicted the people and wildlife they observed. Catlin’s accounts of his travels among the Indians of North America and Audubon’s Viviparous Quadrupeds of North America are to be found in the collections of the McCracken Research Library as well. With the acquisition of California and the lands north of the Rio Grande River at the end of the Mexican-American war in 1848, and the discovery of gold in California, survey teams fanned out across the landscape looking for the most practical route for a transcontinental railroad. John C. Fremont was among the first to set out in search of a path for trains to follow to the Pacific Ocean. In 1853 Congress approved a series of surveys to be conducted by the army’s topographic bureau. The results of these explorations were published in Reports of Explorations and Surveys to Ascertain the Most Practicable and Economical Route for a Railroad from the Mississippi River to the Pacific Ocean Made Under the Direction of the Secretary of War in 1853–54. Printed between 1855 and 1860, the reports provide an exhaustive examination of the land, plants, wildlife and peoples to be found in the areas surveyed. John C. Fremont and fellow explorers, Ferdinand V. Hayden and John Wesley Powell, expanded the country’s understanding of the west, bringing its wonders to the attention of the public. Fremont’s Report of the exploring expedition to the Rocky Mountains in the year 1842… (1845) and Memoirs of my Life (1887), copies of which are in the McCracken Research Library collections, provide a firsthand record of his travels. Hayden, who is perhaps best remembered for his role in creation of Yellowstone National Park, had a long and distinguished career exploring the West. His reports of the surveys conducted by him and members of his expeditions provided valuable information on the geography, geology, flora and fauna of the Yellowstone region. 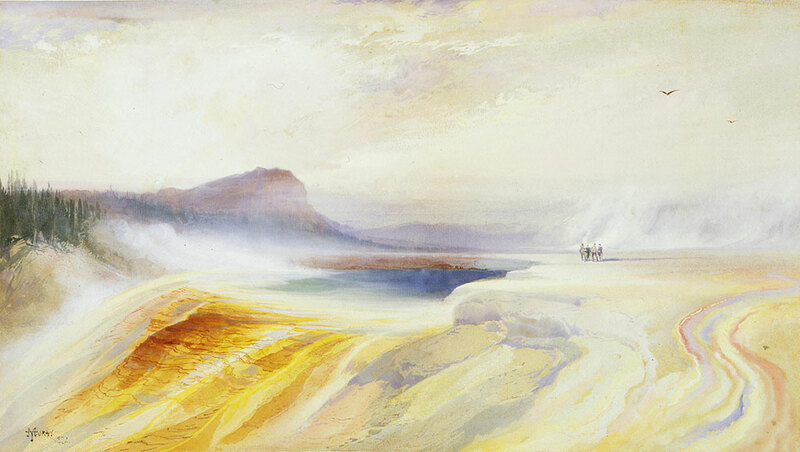 The artist Thomas Moran accompanied him on the expedition of 1871, as did frontier photographer William Henry Jackson. Both artist and photographer created works which bolstered Hayden’s arguments for the preservation of Yellowstone. Powell, whose interests ranged from geology to ethnology, led a number of surveying expeditions. One such survey is recorded in his Exploration of the Colorado River of the West and Its Tributaries. This and other works by Powell laid the groundwork for the study of resource management, and their findings were determining factors in the settlement of some parts of the West. Powell’s interest in ethnology and language led to the publication of Introduction to the Study of Indian Languages, which is an important contribution to the study of Native American linguistics. In addition to serving as director of the U.S. Geological Survey, Powell was the first director of the Bureau of American Ethnology, where he was employed from 1879 until his death in 1902. Probably if I have been asked once I have been asked twenty thousand times. What kind of time did the Grand Duke have on the plains hunting Buffalo. Was he a good rider. Was he a nice fellow socialy. could he speak good english. how many buffalo did he kill. did you have to hold the buffalo for him. The man I was talking to asked me if I ever looked in to a damp bottle. I told him I would not mind getting a little tanglefoot if he would parade a small vile. Then he produced a bottle what had once contained Log cabbin bitters. But now contained some of the worst tirantular I ever floped my lip over. It is not hard to imagine the scene. Movies and television have perpetuated images of this kind, but here we have a telling of the event as experienced by the writer. …Did not get started till late. Travelled over a beautifull country. Passt six graves all made within 5 days and all died of the cholera. 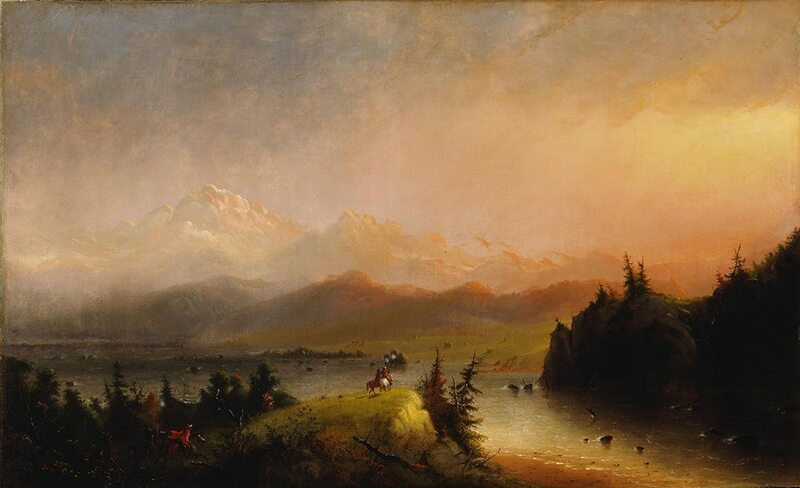 The American West left an indelible impression on those who sought to discover, conquer and settle its remote regions. The writings which flowed from their observations and experiences continue to enchant readers and nourish the imaginations of writers. The Buffalo Bill Center of the West is privileged to be able to share that history.